Trying hard to find the perfect ring for your wedding? Try to create your own wedding ring for a unique, personalized experience and save money while you are at it. This article shows why you should consider getting your own custom wedding ring design. 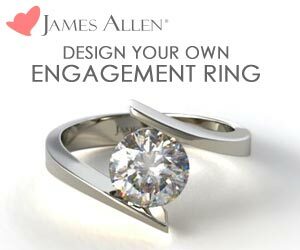 Design your own wedding ring at James Allen. Titanium Wedding Rings: Wave Of The Future?